We want to help you! Download the free guide today! 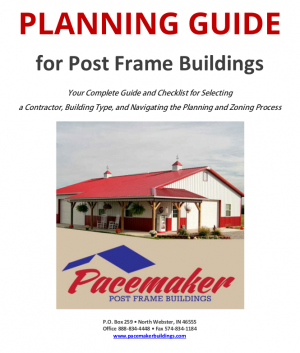 Whether you are in the early dreaming stages, just thinking about a building, or looking for a builder, this guide is here to help guide you through the details you need in order to have a great building process. This is not a Pacemaker Building specific guide. While we want to be your builder, this guide is simply a complete resource to help you in the building process. We even give you guidance on the questions you should ask builders so that you can be sure you have someone you can trust and who is up for the task! We cover land prep, zoning, materials, project planning, and more. 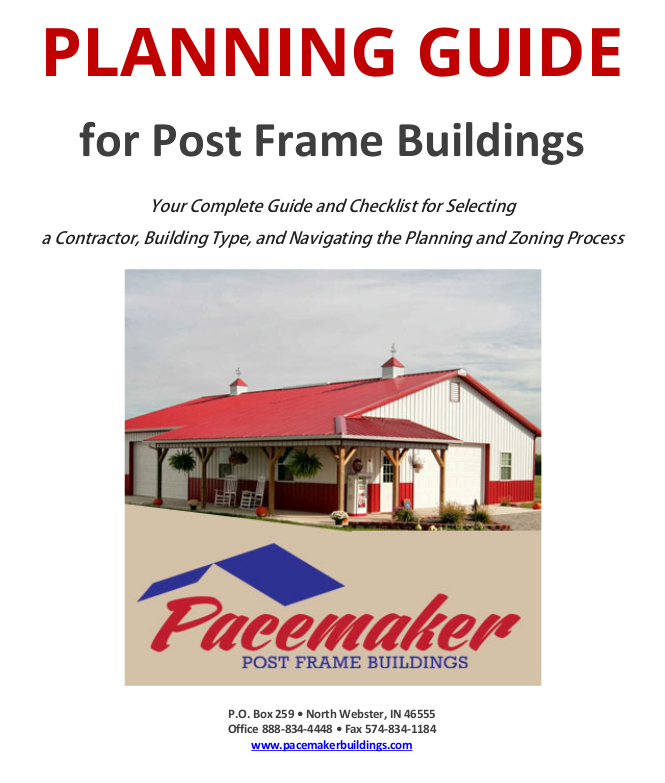 Download the free Post Frame Building Planning Guide by entering your information below. We’ll immediately give you access to the PDF guide and keep you up-to-date with resources and tips.